ALLEGRA BOVERMAN/Staff photo. Gloucester Daily Times. 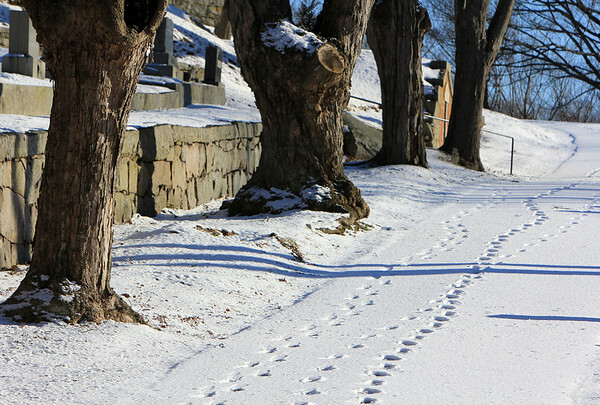 Gloucester: Footsteps in the snow to Mount Adnah Cemetery in Annisquam.